The Susan B. Anthony dollar coin has all the hallmarks of becoming a highly sought after collectible. It is often referred to as the Carter Quarter (the Carter administration promoted it with a vengeance, calling it “the dollar of the future“), as well as the Anthony Dollar, Susie B, SooBee and SBA. With a short run and high numbers minted, Susan B. Anthony coins still show up in pocket change these days. For the beginning coin collector, what better way to start a fun collection than with loose change that happens to have an interesting history? 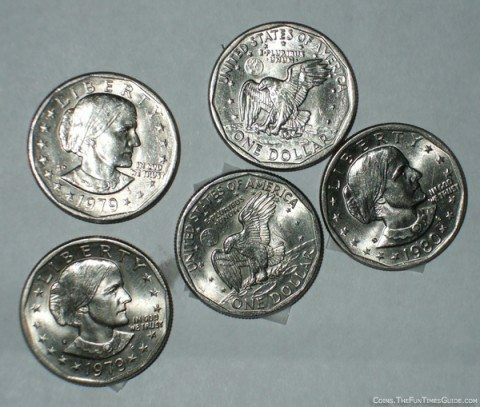 The entire collection of Susan B. Anthony dollars consists of just 11 coins, minted for 3 short years from 1979 through 1981, then again in 1999 because of high demand created by transit and postal vending machines. The 1979 year coins were the largest production year for Susan B Anthony’s. Since, they weren’t very well accepted, the 1980 run was smaller and the 1981 run was never put into circulation. Instead, they were sold by the U.S. Mint in sets for coin collectors. Because of their lack of popularity, many sets from 1981 were broken up and ended up in circulation after all. See the full list of production runs by the U.S. Mints. The Susie B. failed to catch on mainly because its size and color too closely matched the quarter — a problem that the gold-colored Sacagawea dollar coin hoped to correct. Sadly, it too was a failure, even with its contrasting color. 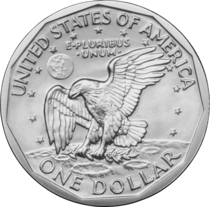 The original design was intended to be an 11-sided hendecagon, but since vending machines of the time could only handle round coins, the final SBA coin came out with an 11-sided design stamped around the perimeter of a round coin instead. 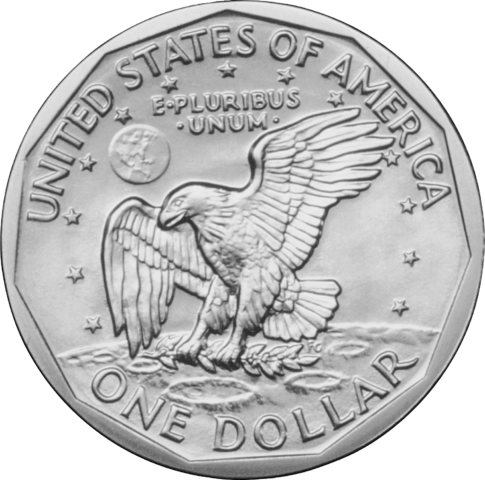 The Susan B. Anthony dollar is the last coin (as of 2007) to be minted with the familiar “S” mint mark for the San Francisco mint. In the movie “Robocop” a dollar coin referred to as the “Ronnie” was featured. It depicted President Ronald Regan but otherwise was identical to the Susan B. Anthony dollar coin. How Much Are Susan B. Anthony’s Worth? Heritage Auction Galleries currently values the Susan B. Anthony dollar coins at face value — all the more reason to be watching for them in your change. The value of Susan B Anthony’s is sure to go up in the future… it’s only a matter of time! Plus, since they’re still in circulation, the odds are quite high that you will come across these dollar coins in your pocket change. Now that’s a fun (and easy) way to try and complete a collection of all Susan B. Anthony coins! See our tips for collecting Susan B. Anthony coins, and their value. Susan Brownell Anthony was a civil rights leader who spent 45 years traveling through the United States and Europe giving speeches to promote women’s rights and seeking the right to vote for all women. She was born February 15, 1820, and her efforts in obtaining women’s right to vote were key in the decision to commemorate Susan B. Anthony on the dollar coin. Check out detailed information about the designer of the coin, Susan’s biography, and many interesting facts about the Susan B. Anthony dollar coin.